Unfortunately, conventional MC cartridges have been designed so that the angles between magnetic circuit, signal coils and core become aligned only when tracking force is not applied. The result is that during playback, the required tracking force causes the angle between magnetic circuit, signal coils and core to become misaligned. This limits the cartridge’s resolution, tracking ability and dynamic range. Compared to conventional cartridges, the Delos has a new body structure with an unusually shallow angle, and this has been paired with a unique asymmetrical damping system. When no tracking force is applied, the shape of the asymmetrical dampers forces the signal coils and core into a more upright angle than the magnetic circuit. 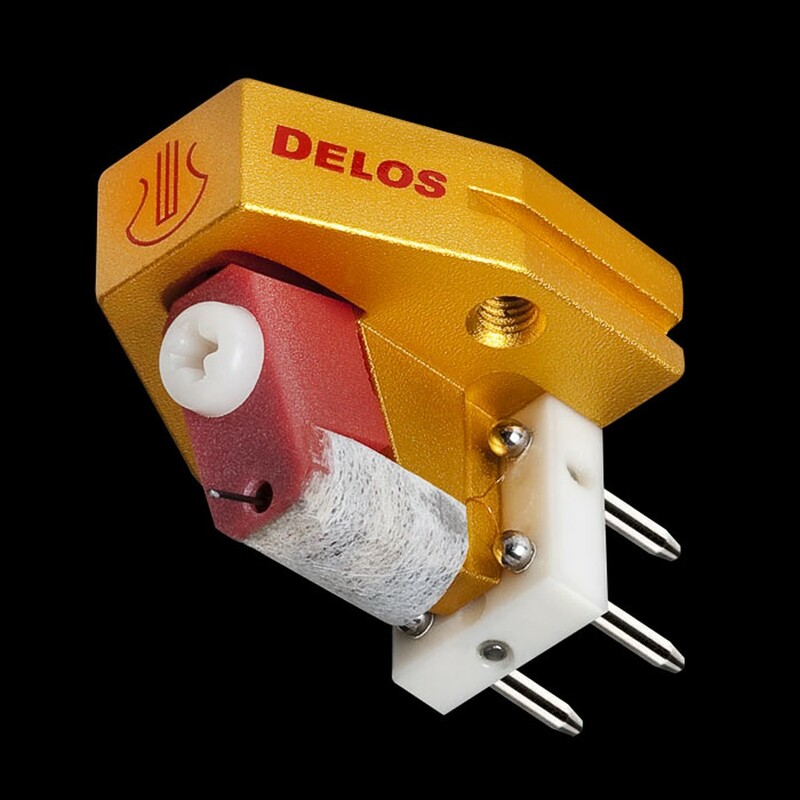 Keeping the proper angular alignment prevents the formation of any strong and directional flux that could otherwise flow constantly from the magnetic circuit into the signal core, and enables the Delos’ core to move with equal ease in all directions, for optimal performance.